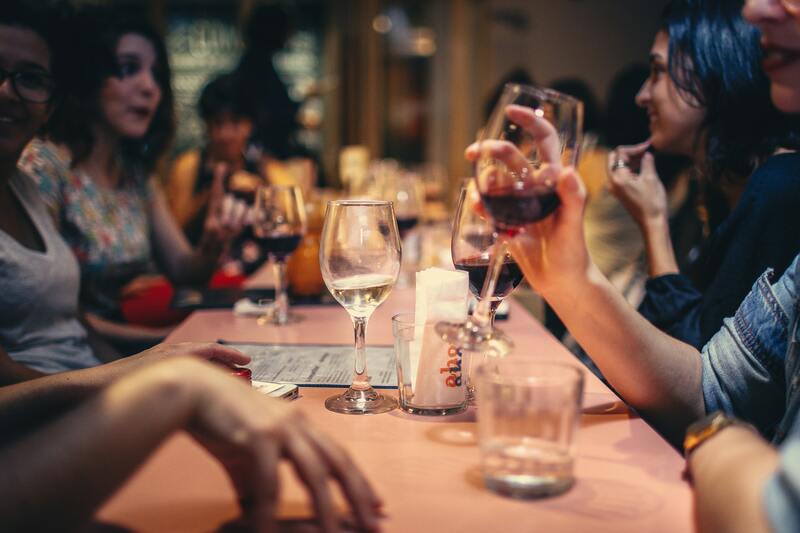 Wine tastings are a great way to encourage new patronage at your restaurant. They're also fairly short-order, as you can hire out for a sommelier to handle the details. Whether it's your first time, or you're just looking for a solid rubric from which to work, this simple guide will walk you through the basics of hosting your own wine tasting. Something sparkling, like Champagne or Prosecco, is often served as a welcoming beverage. You will need flute-shaped glasses for this. 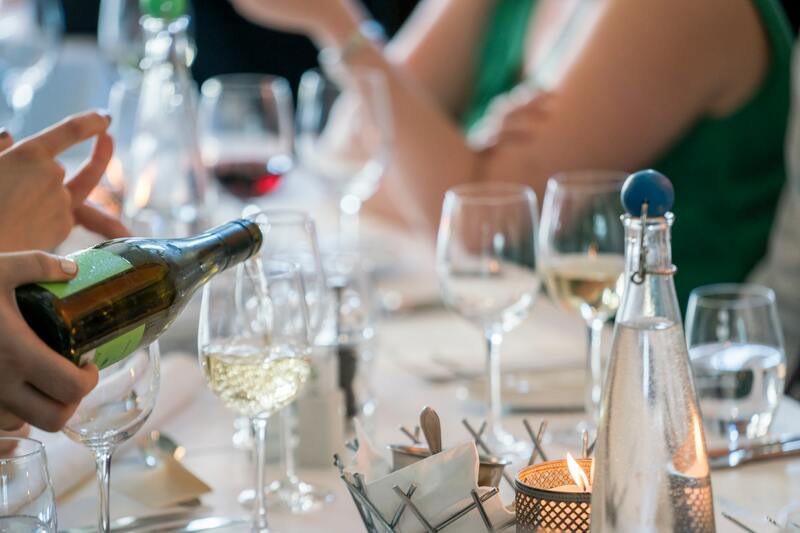 Not only will a sommelier help you select the highest quality wine for your budget, they’ll provide a guided tasting for your guests, making the experience all the more memorable. It is usually a mistake to only show American wines at a formal tasting. It’s no more expensive to expand your geographical area to include a world of offerings. Avoid buying wine at the supermarket. They tend to be higher priced and lower quality than what a decent wine store offers. Look for a store near you that offers a well-rounded, global selection. If that’s out of reach, order online from a reputable dealer. Consider making the event more mysterious (and perhaps competitive) with a blind-tasting format. Simply place each wine bottle into a numbered paper bag, and allow guests to try to determine which wine is which, based on past experience or textbook clues as to what each wine should taste like. Wine tastings involve trying wines side-by-side, so you’ll need at least two glasses per attendee. If you’re short on glassware, a sommelier should be able to provide extra. The theme of the event and of the wines should correspond with the type of food you are preparing. 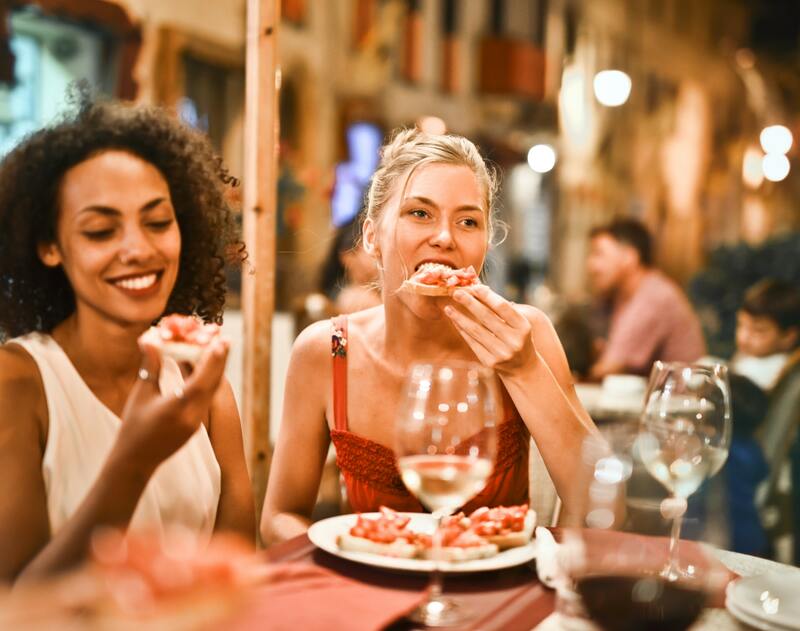 French and Italian wines are friendly to most cuisine, but it’s best practice to pair your wine with the cuisine of its origins. Chill the white wines before and throughout the event. Provide pouring buckets in accessible locations to encourage guests to dispose of unwanted wine. Set up your tables, tablecloths, and decoration. Wait close to event time to set out the food. Present wine in pairs. If your guests will be sitting, set their places. If you know your guests ahead of time, consider labeling their glasses preemptively. REMEMBER! You have a responsibility to your attendees to make sure they get a safe start to their next destination. Make it easy on them by using small pours, encourage use of pouring buckets, provide water, and make taxis and ride shares easy to access. If you're still managing schedules on a spreadsheet (or worse, paper), look into drag-n-drop scheduling software. It'll save your manager hours, and allows employees to provide feedback on their phones. If you're looking to craft a unique experience for your tasting, create a detailed checklist for your employees—especially around setup. This ensures consistency across events, and can be your best tool for improving future events. Now that you're set up with all the items for your wine night, make sure to get word to customers. Invite regulars to bring friends, and be sure to post on social media and follow up with anyone who engages. Is your restaurant looking for ways to improve customer experience? Jolt can help you deliver.